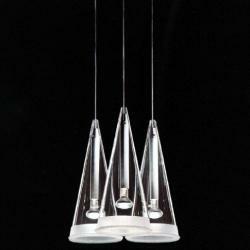 The Fucsia de Flos lamps is a collection composed of standing and suspension lamp. 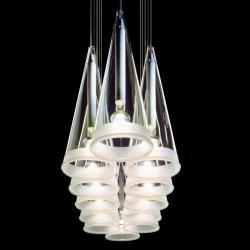 The Fuchsia concept encompasses the idea of functionality in the sense of performing the function of suspension lamp. The designer of Fucsia de Flos is Achille Castiglioni. 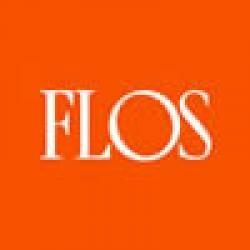 It is an icon for the manufacturer Flos since with the passage of time it has been evolving and creating versions adapted to the needs and technologies of our days. It is available to buy Fucsia Flos in several models with a number of different luminaires: 1, 3, 8 or 12. 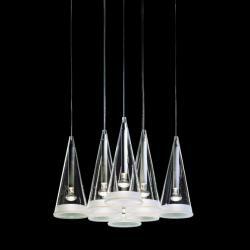 Fuschia de Flos is a direct light suspension lamp. A conical diffuser in blown glass, sandblasted in its lower part. 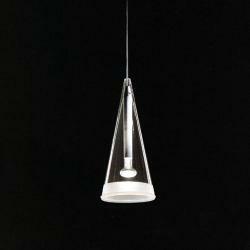 Florón composed of a ceiling support base and a polyamide trim loaded with 30% fiberglass, both stamped by injection.